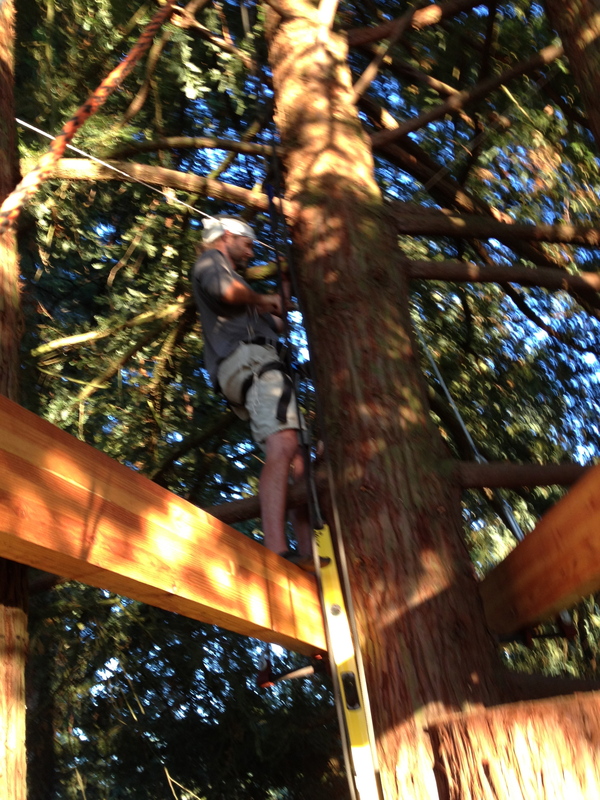 This week, I finally am back to building the treehouse. 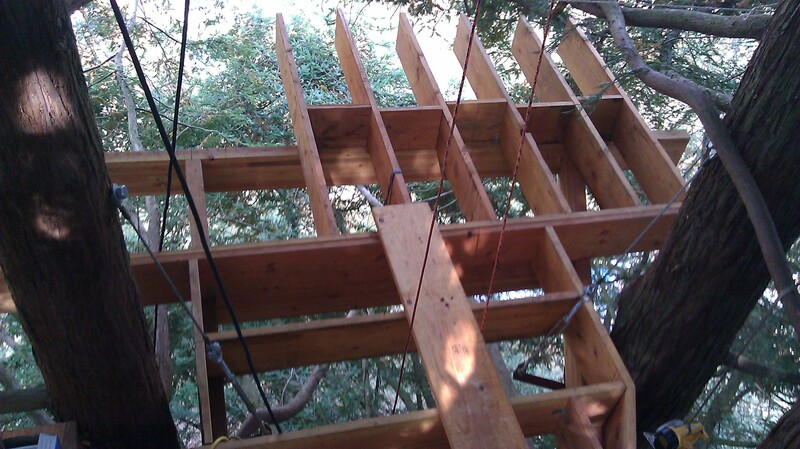 The platform has been finished for over a year. And now it’s time for walls, windows and roof! Let me know if you’d like to join the fun. 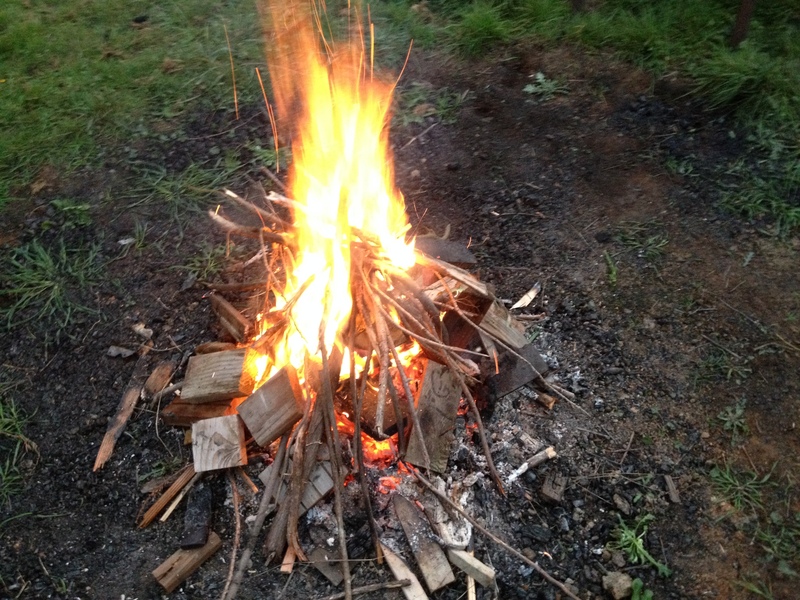 All week, the pattern will be working on the treehouse in the afternoons, sitting around a fire in the evening. If you are so inspired, feel free to bring some finger food to share! Come Celebrate with us! DROP IN anytime between 7-11pm! Must come down. 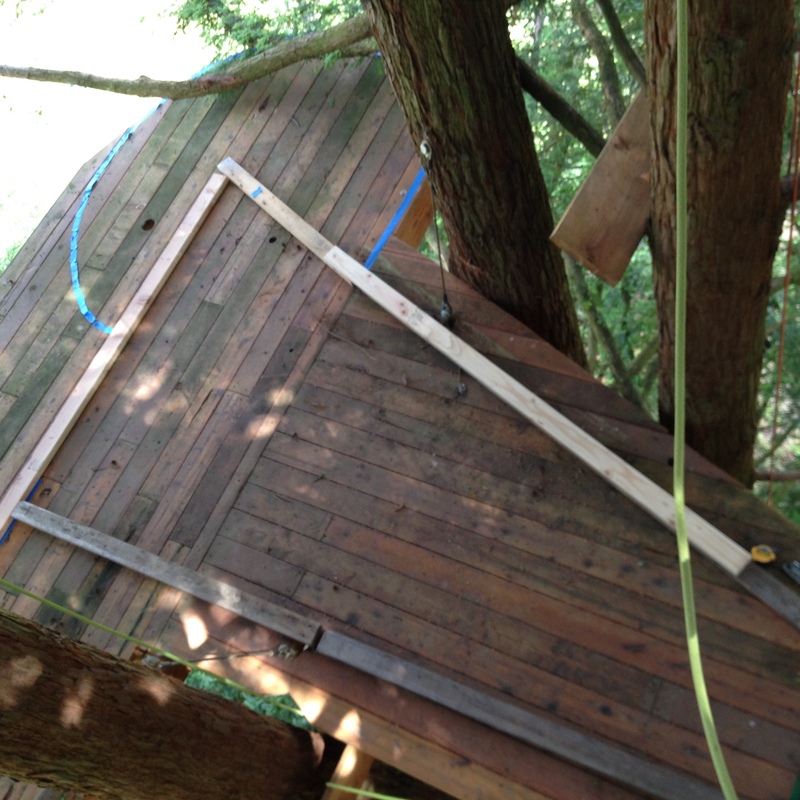 But I came down the tree with a fresh sense of alertness, calm, and readiness to continue the remodeling project. 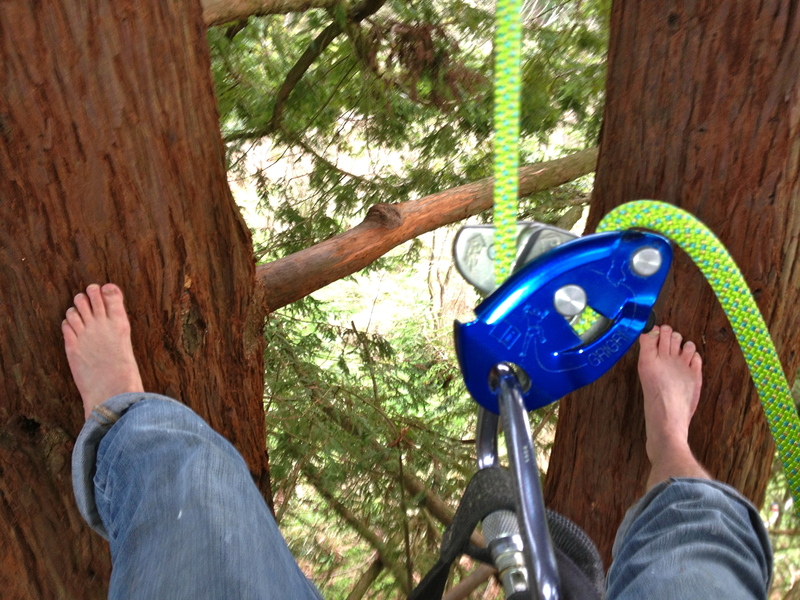 Bare feet on the fuzzy bark…wow! If that doesn’t put all thing aright I don’t know what will. 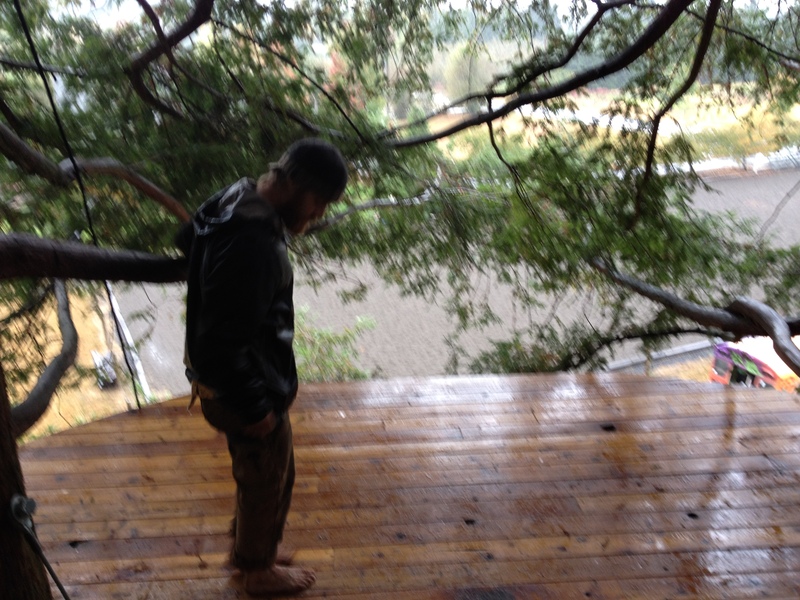 So good to be back up in the treehouse. 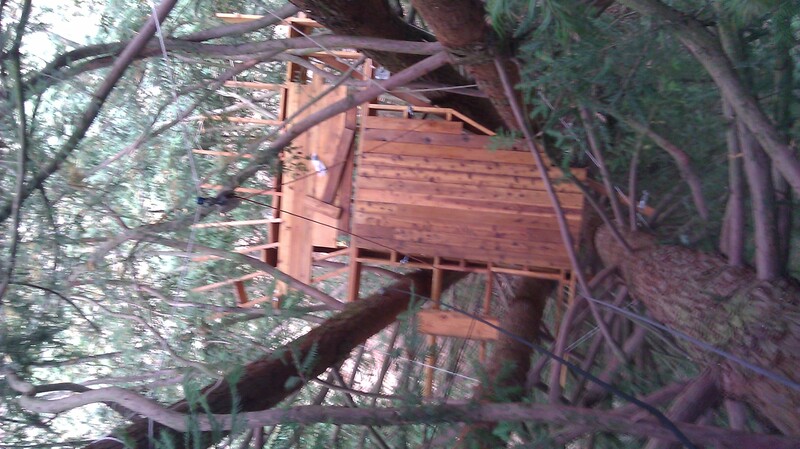 Working on the house (along with generally cold and wet weather) have meant no tree climbing over the last two months. 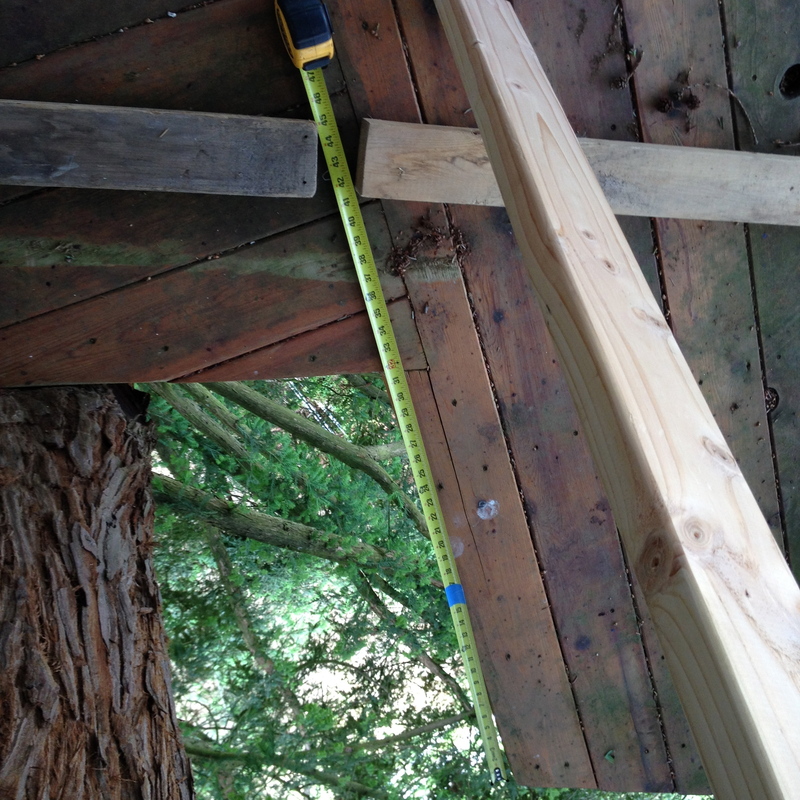 That won’t be the case once I have the cabin built up there. The sun shone, the tree branches waved gently. I looked up into the tree and took many deep breaths!! Ahhhhhhh. These went up this weekend. 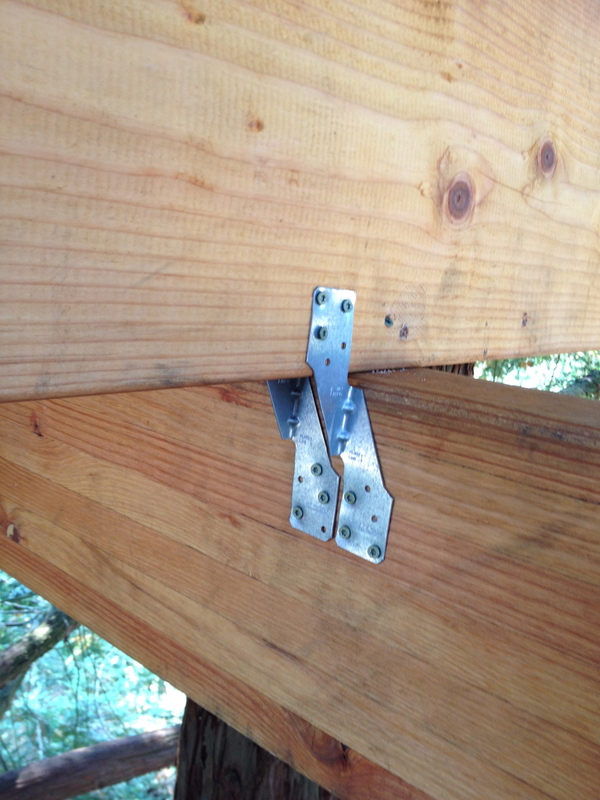 One joist at a time hoisted up 40 feet or so and then cut and hung and drilled into place. 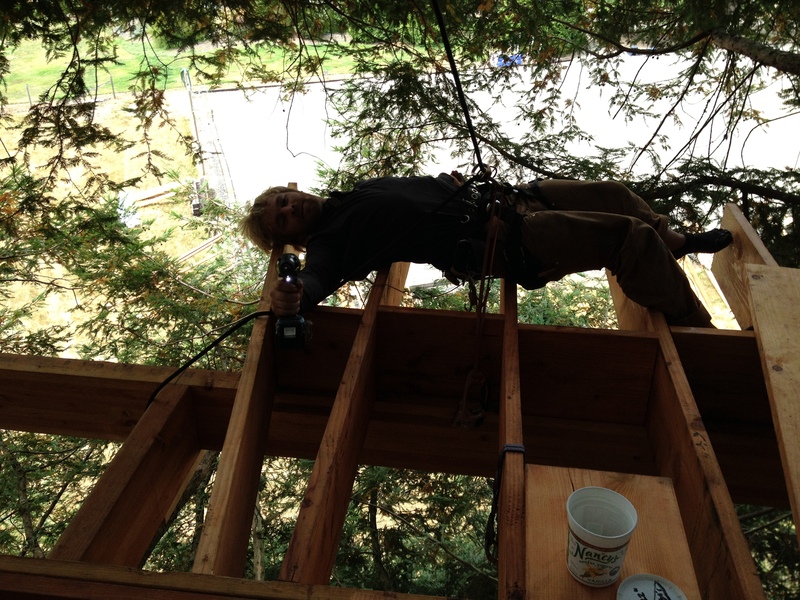 View from 60 feet…of the newly laid 2×6 Cedar decking that are on 2×12 Fir Joists that are on 4×10 Fir Glue-Lam Beams that are on Tree Attachment Bolts that are further supported by Turnbuckle Cables that are in a Sequoia Redwood 33 feet high!